The newly opened Street Side Café is a treat for vegetarians. Situated at Lane No 5 Koregaon Park , this comes as one of the best options for people wanting to opt for street food as well as Indian , Chinese and fast food in Koregaon Park . The restaurant has a sit out and two indoor halls . The ambience is good with walls decorated with wheels and few carts stationed to give a feel of street food . The highlight of the menu are Chaat dishes like Shev Puri, Pani Puri, Bhel , Ragda Pattis , Samosa chaat , Kachori chaat , Dahi Bhel amongst others. 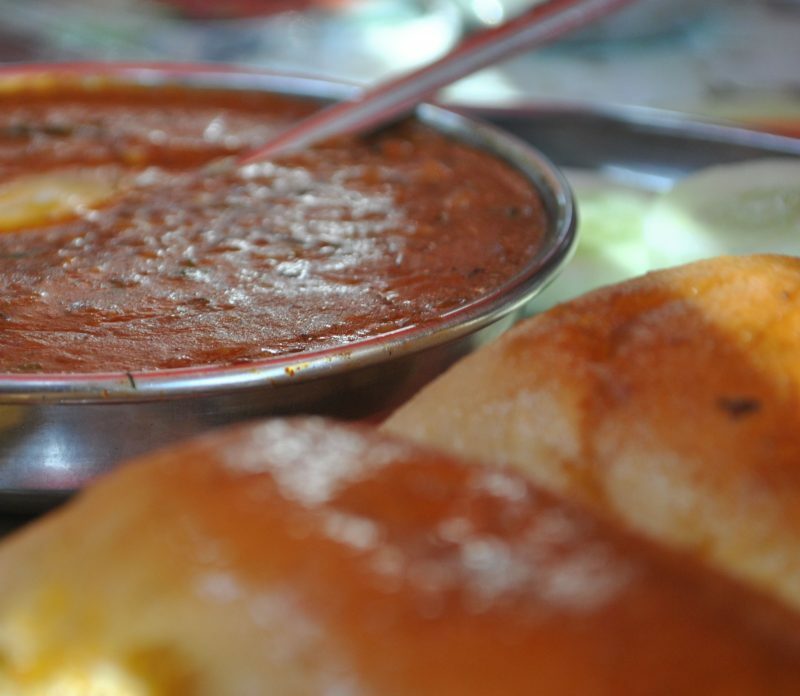 Different types of Pav Bhaji , Pulao , Pizzas , Burgers present a lot of options to choose from. Then those who want to opt for Indian food can start with veg kebab platter , dal aur hari mirch ki seekh or try out some finger foods like pizza wheels , fried pickle chips , pancake bites etc. That can be followed with Sarson ka Saag, Pindi Choley , Panner Makhani , Dal tadka , Masaledaar Mushroom or Hing Jeera Aloo along with Roti , Naan or Rice . Chinese dishes like Hakka Noodles, Manchurian , Chopsey , Schezwan fried rice, Triple Schezwan , Paneer Chilli are also good. Needless to say Salads are a must in every Menu nowadays with Caesar’s Salad topping the list along with Tiger Strawberry Salad , Catalina Pasta Salad, Mexican Cheese Salad , Cucumber Salad with Peanut etc. Some interesting Bakery Items , Hot beverages, Milk Shakes and Falooda complete the menu. But what is interesting is the types of Parathas that are served here. Aloo Shezwan Paratha , Toofani Paratha , Italian Paratha , Afgani Paratha, Paneer Bhurji Cheese Paratha , Farmaish Paratha and the list goes on but every single one of them is worth a try.